The Panel Pros team is still feeling the rush of adrenaline from participating in this year’s AIA Conference on Architecture. 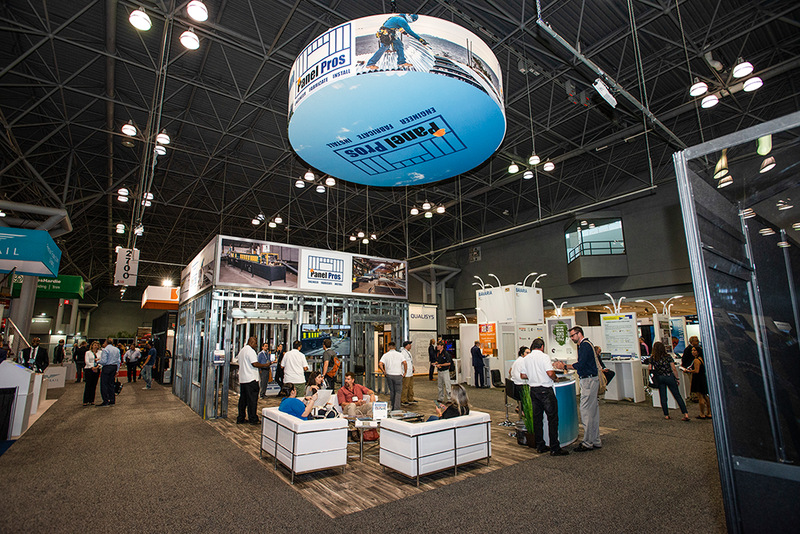 During the two-day Architecture Expo at the Javits Center, we exhibited full-size models of our prefab structural steel wall panels and had the opportunity to share our story with hundreds of conference attendees who visited our booth. 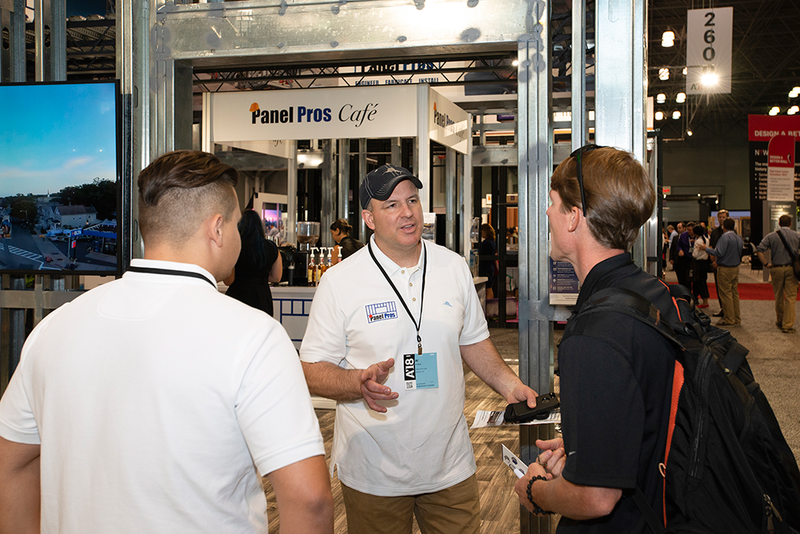 Industry professionals from across the United States, Canada and further were eager to talk to us about our innovative panel fabrication services. 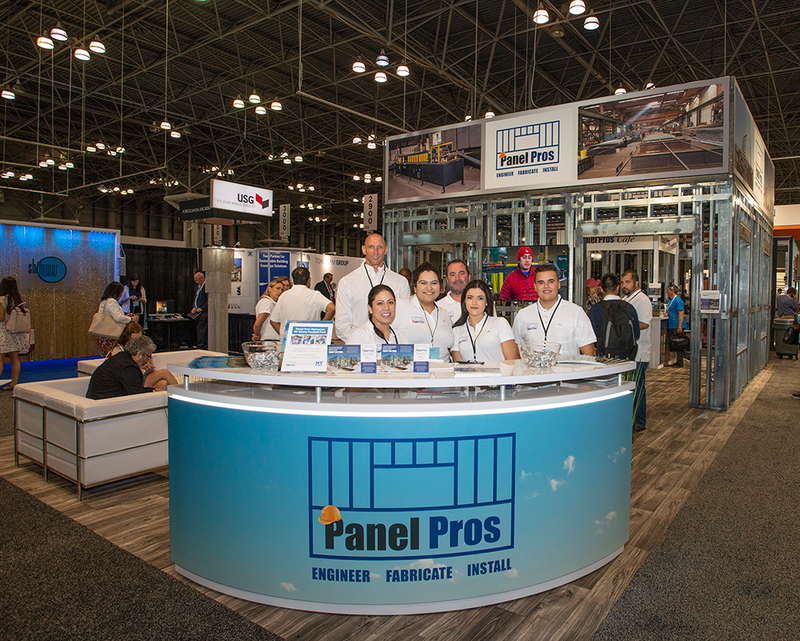 We explained how in early 2018, Construction Pros of NJ—one of Inc. Magazine’s Fastest-Growing Private Companies (2016-2018)—officially launched the Panel Pros division dedicated to the firm’s expertise in the construction of wall panels for mid-rise and hi-rise, residential, commercial and industrial projects. We have set ourselves apart in the prefab wall panel space with our ability to manage the process from start to finish. Metal stud panels are designed, engineered and fabricated in our 30,000-square-foot panel shop centrally based in Newark, NJ, delivered to the job site and installed. Services also include the capability of seamlessly handling modifications that may come up mid-development. Architects at A’18 appreciated our commitment to saving developers the two most precious commodities in the industry: time and money. We walked away more confident than ever that demand will continue to rise for panels which are built off-site. Accurate Budgets: Tighter estimates up front. Cost efficiency when compared to other systems. Faster Schedule: Minimize onsite construction time. A typical job goes up at a rate of 15,000-square-feet per week. Fast Track: Unit/rental sales completed months ahead of time. Innovation: Market proven and time-tested engineering and technology. Structurally compliant 5 to 20 stories. Control Cost and Time Overruns: Eliminate on-site mistakes. If you are looking for a way to build better, faster and more cost effectively—which we can pretty much guarantee you are—let’s schedule a time to talk. P.S. 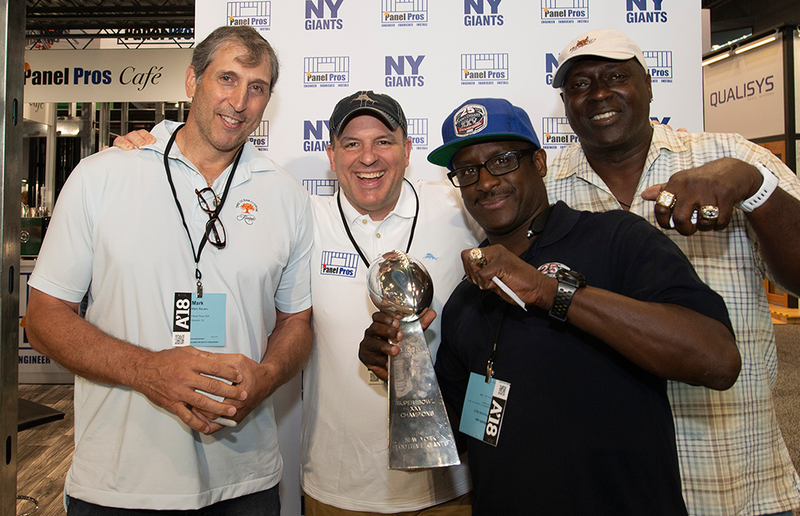 Panel Pros had a blast at A’18 thanks to our special guests, Super Bowl Champion football pros: NY Giants OJ Anderson, Stephen Baker and Mark Bavaro signed autographs, took photos and mingled with conference attendees at our booth. For more information, visit www.constructionprosnj.com/PanelPros.